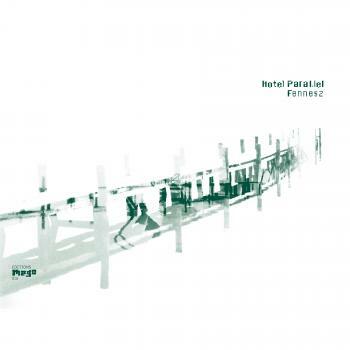 "Hotel Paral.lel", originally released in September 1997 by Mego, was Christian Fennesz’s debut solo album. Following up from the EP “Instrument”, it was an investigation into the sonic possibilties residing in guitar based digital music, recorded just before mobile computing devices became the norm. A far more darker and experimental work than what was to follow. Freeform noise, sliced techno beats and subtle ambient textures create a timeless work, which is an essential addition to any collection of pioneering music of the late 20th Century. On the closing “Aus” we see a glimpse of what was to come, a springboard to the future. "5", (originally released in 1996 as a 7” single on Syntactic (LEAK20), in an edition of 100), and the acclaimed video made by Tina Frank/skot for the track “Aus”.